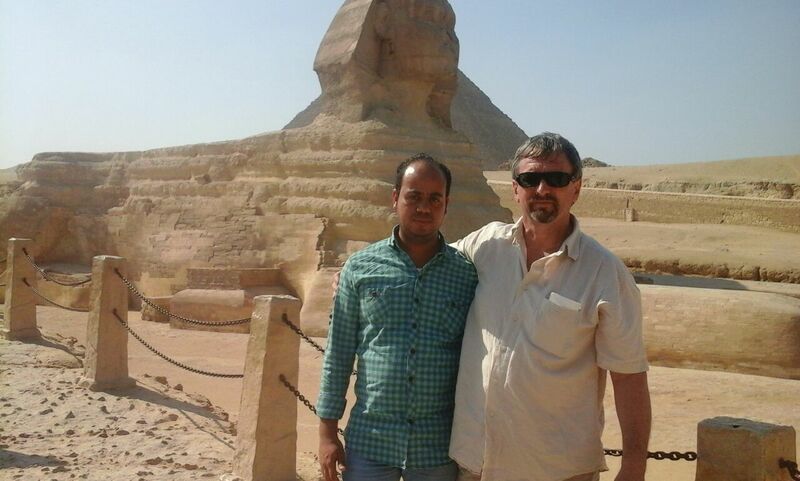 full day tour to Giza Pyramids,Memphis and Sakkara Enjoy our historical tour to Giza Pyramids where you visit Cheops Pyramid that known the great pyramid of Giza also you see Chephren & Mykerinos Pyramids.Then Visit The Sphinx Statue and Valley Temple right there our guide will assist you to take professional photos Continue your day tour to Visit Memphis City that was the ancient Capital of Egypt during ancient Egypt.end your day tour by Visiting Sakkara Pyramid that also known as the Step Pyramid of King Zoser. Egypttravelcc Tours Egypt guide will drop you off at your hotel . starts At 8:00 am with Pickup from your hotel in either Cairo or Giza By Egypttravelcc Tours`guide to Start your Giza Full Day Tour Visiting Giza Pyramids where you Visit the Great Pyramids Of Giza - Cheops ,Chephren & Mykerinos then Visit the Valley Temple The Place where the Priests Mummified the dead body of king Chephren owner of the second pyramid at Giza Platue Also it`s the same place where you Can have a close-up look at the Sphinx - The legendary guardian that stands by the huge funeral complex with its lion body and the head of king Chephren. Then continue your day tour to Memphis City that was the ancient capital of Egypt, where the colossal statue of Ramses II and the great Alabaster Sphinx are. this City Dates back to 3100 B.C .